HighLine's mission is to exceed customer expectations by providing superior, reliable, safe, and affordable service. Since our inception in 1998, HighLine Cranes & Rigging has specialized as the go-to business for customers in need of crane services and crane rentals in the Hartford, CT area. We work with a litany of construction companies throughout the Connecticut, New York, Massachusetts and Rhode Island, providing them with the latest and safest equipment for their projects. Let’s take a look at the services we provide. We have a vast feet of crane rentals to choose from, including book truck, hydraulic and all terrain cranes. Our cranes range anywhere from 23 to 300 tons, and we provide our clients with a fully trained and licensed operations specialist who will oversee heavy lifting jobs while making sure everything is used safely and properly. Our company is a member of the Specialized Carriers & Riggins Association (SC&RA), and each one of our fully-licensed operators undergoes continuous safety and equipment training to stay up to date on the latest industry standards. For our customers’ convenience, we offer we offer crane rentals on an hourly, daily, weekly or monthly basis. What’s more, we have night and weekend services available to make sure you’re able to meet your deadlines. In addition to our crane rental services, we also provide crane rigging for our customers. One of the challenges that construction companies face is trying to determine how they will transport heavy pieces of equipment to and from jobsites, as well as around the jobsite. Fortunately, we’ll provide you with the right solutions for your project. 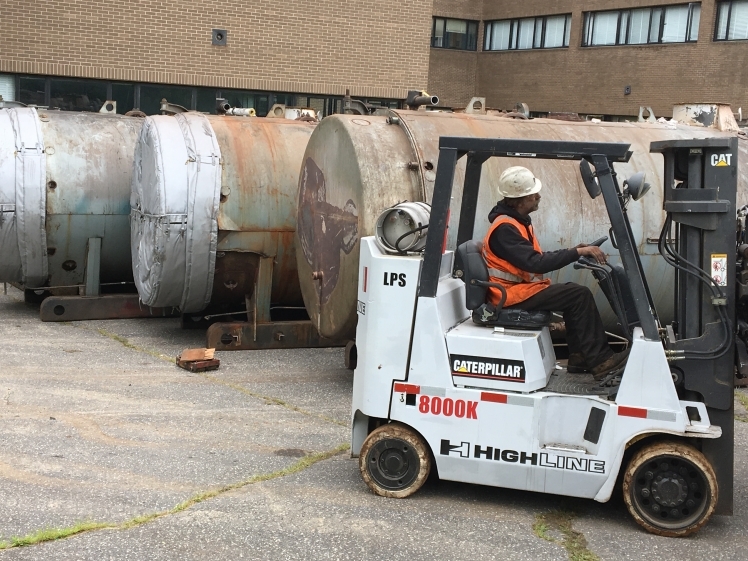 Thanks to our heavy lifting expertise, our operators can perform a variety of duties, including providing a risk assessment and operation statement for your project to make sure you’re being as efficient as possible and are protecting your bottom line. They will help you select the right equipment for your project and they’ll determine the proper angles you’ll need to use to lift heavy materials, as well as what the appropriate size of your lifts should be. They’ll also account for any variable elevations and will provide you with a radius lifting chart that highlights your lifting requirements. HighLine Cranes & Rigging transports standard, overweight and multi-dimensional loads of up to 60 tons for our customers. We can transport uniquely shaped items and we go above and beyond to make sure your shipment arrives safely and on time. In addition to our hauling services, we also have 5,000 square foot warehouse and a 2-acre storage area that holds a wide range of construction equipment and other items. Notably, the area is under 24-hour security monitoring, so you can feel rest assured knowing your stuff is safe. Our staff is even available to help you create a custom storage and handling plan for you. Construction companies have used our rigging and crane services to help with steel erection, road construction, cell tower completion, and tree maintenance, among other purposes. Our trained specialists are proud members of Avetta and ISN and will offer multiple solutions to ensure that project specifications are met on time, regardless of project type or budget allocation. If you’re looking for the best crane services and rental company in the Hartford, CT, area, then look no further than HighLine Cranes and Rigging. Learn more about our crane and rigging services by calling us at 203-509-3265 or emailing us at hc@highlinecrane.com to discuss your project.